The spectator blows up the balloon. 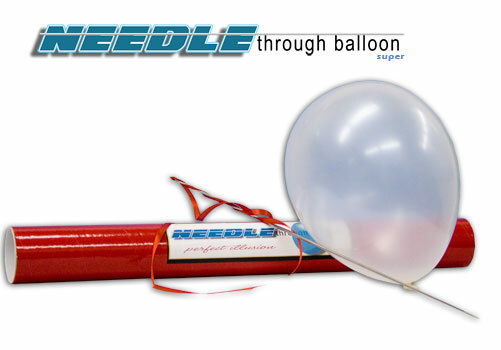 You shove a lethal looking 18' needle completely thru the balloon without bursting it! Remove the Sharp Needle & POP it! Supplied in a sturdy Travel Tube!! !